Overseeing rehabilitation efforts is just one of the many programs you manage. From mediating care plan meetings to determining what resources are needed, your responsibilities can feel unmanageable at times. Your priority is to implement the rehabilitative program effectively for all patients. In addition to making sure care is effective, you are also responsible to maintain compliance and maximize services under the RUGs (Resource Utilization Groups) system for optimal reimbursements, helping to make sure families can obtain and afford all necessary care options. Goals that are ineffective or improperly tracked result in reimbursement issues. This in turn can leave patients unable to obtain services or cause them to return home to the care of family with minimal support. These outcomes can damage the professional reputation of your program and your organization. Our system simplifies the process of creating individualized goals for care plans, explains the significance of quality goals to effective results and saves time and frustration for all involved. Browse our products, check out some of our free resources or contact us to discuss how we can best help you and how to get started. 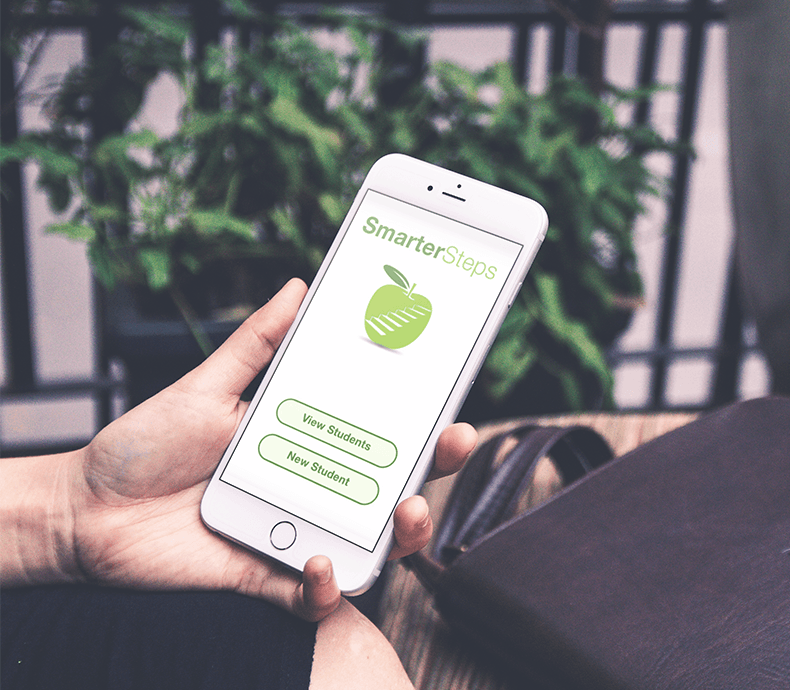 All Members Have Access to our SMARTER Steps Mobile APP! 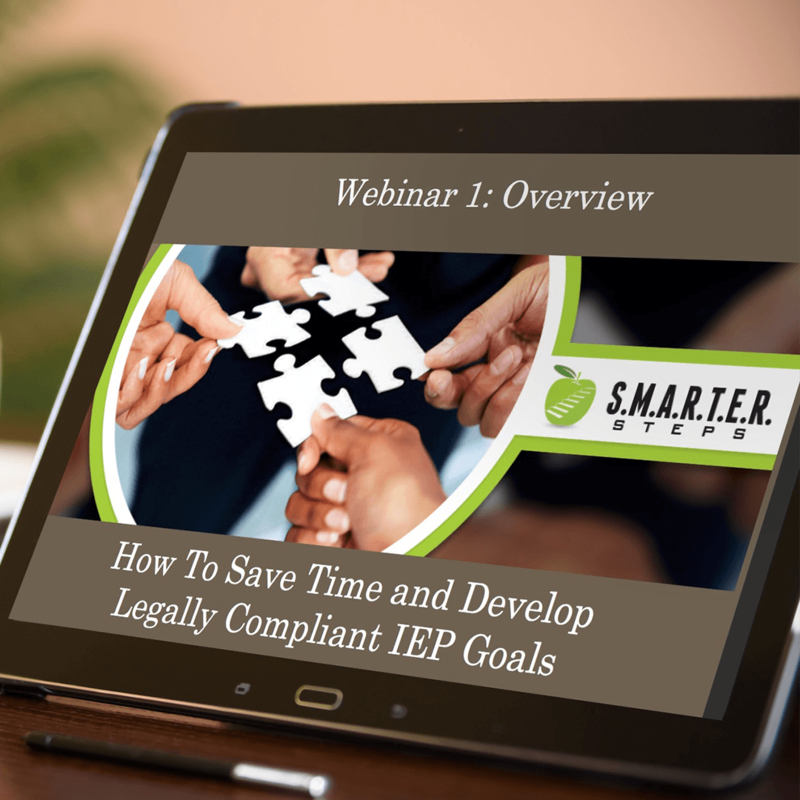 "How to Save Time and Develop Legally Compliant IEP Goals"
“How to Save Time and Develop Legally Compliant IEP Goals” is the overview webinar of the SMARTER Steps system. Learn this easy 7-step prompting system to gain a solid foundation on how to develop goals for optimal outcomes for children with IEPs. This webinar is for everyone: parents, advocates, school staff, administrators, college students, and university instructors. This webinar is 1 hour and 30 minutes in length and was recorded on 5-21-18. This is an example of our SMARTER series recorded webinars available through our membership program. You'll be redirected to our FREE webinar upon sign-up!